I parked my car and readied for what was sure to be a memorable experience. As the hour of 10:00 am approached, I heard the howling of several wolves. This can be a scary sound in a horror movie, but in the parking lot of a wildlife refuge, it is a reminder of why I was here. To meet — and learn from — nature. 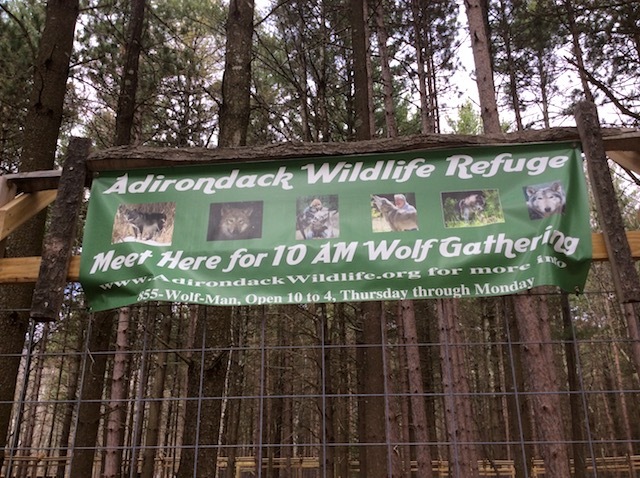 The Adirondack Wildlife Refuge and Rehabilitation is a form of animal hospital that's somewhat like a zoo, and always, a school. I meet Steve (of Steve and Wendy, who created this refuge), in the reception room for one of his regularly scheduled tours. The paths wind through a number of different enclosures, with a shifting number of animals. The inhabitants change often, depending on who needed help and how well they recovered. Tours are part of the educational outreach Steve and Wendy do. They show visitors around their refuge, or take different animals on visits to museums and gatherings. It is a way for people to meet a real wild animal, and learn how all of the pieces of the natural world fit together. 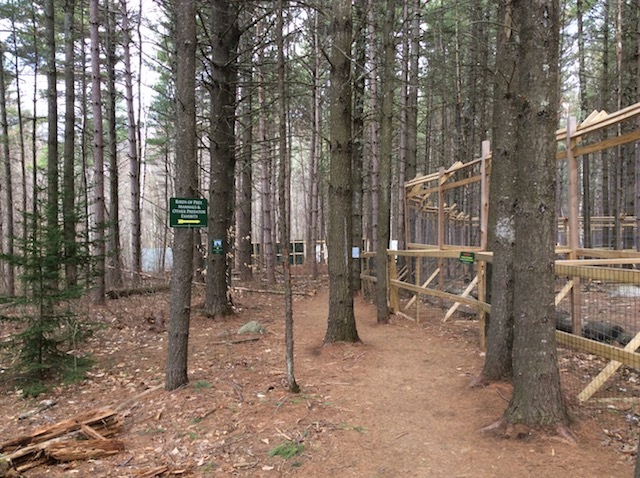 There are hiking trails through all the different enclosures, buildings, and the natural features of the forest we are in. First up is the wolf enclosure. Construction is ongoing to expand it further, taking it all the way to the large windows of the reception building. 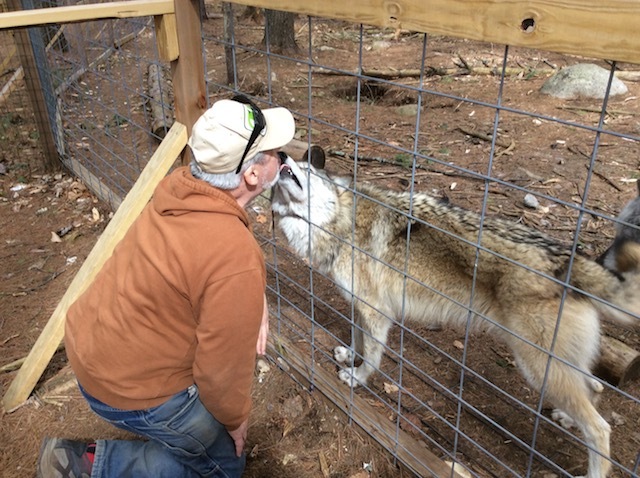 "Everybody loves the wolves," Steve tells me, and I have to agree. I love wolves, though the closest I have come before this was rescuing a Malamute mix from a shelter. I mention my fondness for dogs, and Steve points out that dogs are descended from wolves. It's easy to see the relationship when Steve announces treat time. 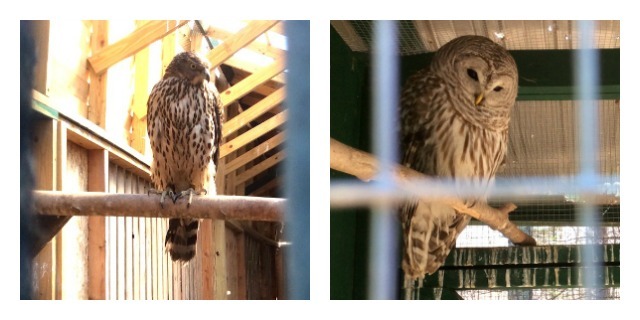 These three are permanent residents, all being too old to make it in the wild. The brownish female on the far right is the Alpha Female of the pack, while the wolf on the far left is the Alpha male. I learn that the bulk of their diet is road-killed deer. "Wolves are apex predators," Steve tells me, "Top of the food chain." 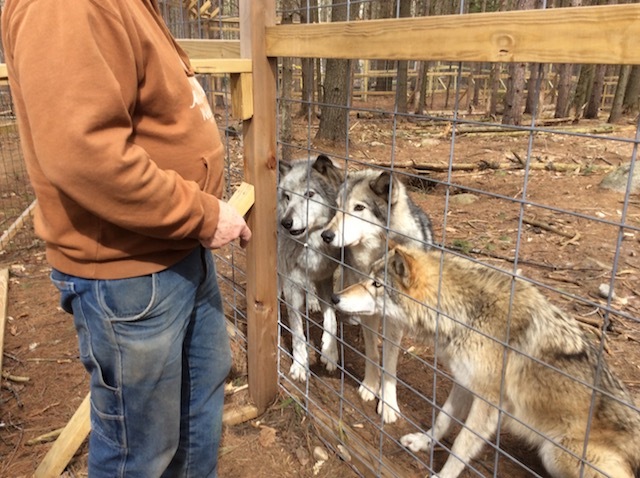 "The process of turning them into dogs was out of practicality," Steve tells me as he gives each wolf affection along with their treats. "Some people wanted a wolf to help them hunt, while another person wanted a good hole-digger." There were lots of holes dug around the enclosure. Which did not surprise me; I used to have a Malamute. Until recently, this sled dog of the Far North was famous for being bred with wolves for more hybrid vigor, as their appearance shows. The bald eagle is also an apex predator. This one, below, is now a permanent resident, and a popular way for people actually see our national symbol up close. Under the circumstances, I don't get too close. They live here, and I am hesitant to disturb them. 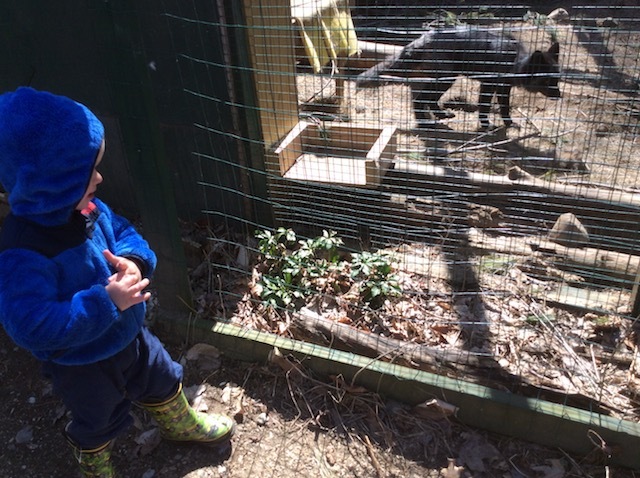 My caution and deference pays off in the bear enclosure, though, along with a lot of luck. 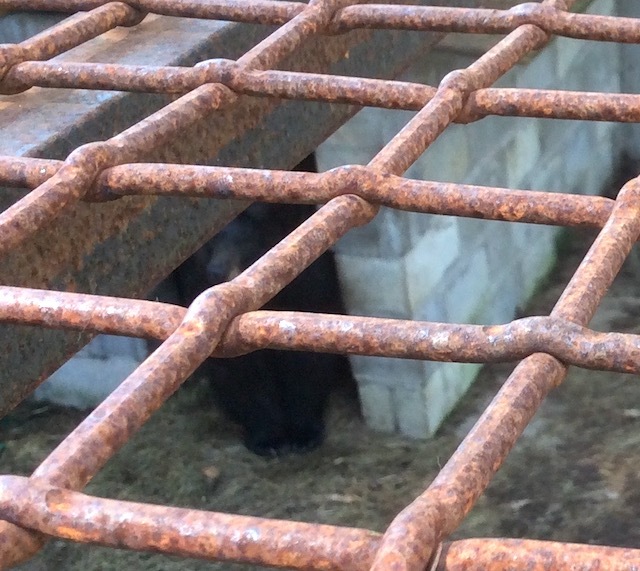 I am able to get a glimpse of Barnabee's bear cubs. And Barnabee herself. Bears are omnivores, so while they do eat meat, it is more of an opportunistic predatory move, like driving wolves, who are actualy better hunters, away from their latest kill. In about a month Barnabee and her cubs will be released back into the wild. "She's doing well," Steve said with a chuckle. "She charged my bear guy, so she's got plenty of energy now." That story made it easy for me to be discreet about taking my pictures. In the Adirondack Almanac story, "The Unusual Life of Barnabee Bear," Steve relates how his wife Wendy rescued Barnaby using a Have-a-Heart trap. That was September of 2016. Eight months later, Barnabee has gone from a scrawny yearling almost dead from starvation and parasites to full strength and healthy... and a surprise pregnancy that resulted in two cubs over the winter. It's a bit of a miracle. 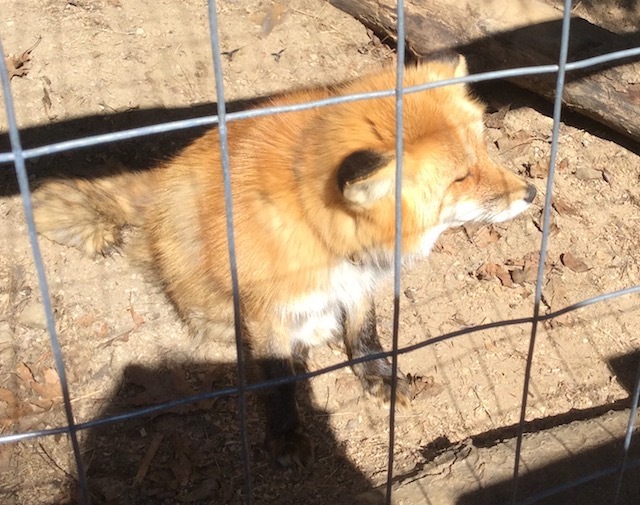 I love foxes, and all the ones at the Refuge are remarkably friendly and approachable. Most of the birds kept some distance. I laughed at the story Steve told of the barn owl they released into the wild... only to have him return a few weeks later. "He decided he liked the easy life here," Steve said. "Even though he killed a few of our chickens and we were wondering what we would do!" They get their residents from anywhere an animal or bird needs help; found injured or starving, reports of an animal spotted in poor shape, and those hit by cars. They even trade with other rehabilitators if they have duplicates and someone else has a spot for them. Approximately 70% of the animals can be successfully treated and returned, like Barnabee and her cubs. Of the rest, half do not recover; the remaining 15% get better but cannot return to the wilderness. "It's tough out there," Steve said. "People don't realize starvation is the leading cause of death for wildlife. They have to work hard to keep themselves fed, and if they aren't up to it, we can't let them go. They stay and become educational exhibits." 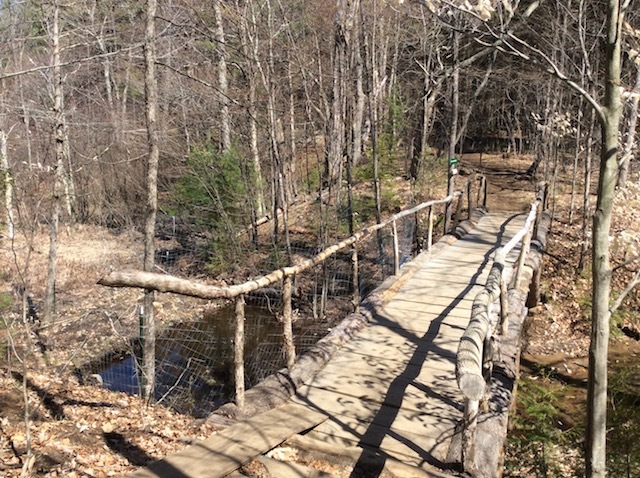 For those who want to see more of the area, there are two more miles of hiking trails that have been constructed for a nice walk and the chance to see the wildlife - in the wild. 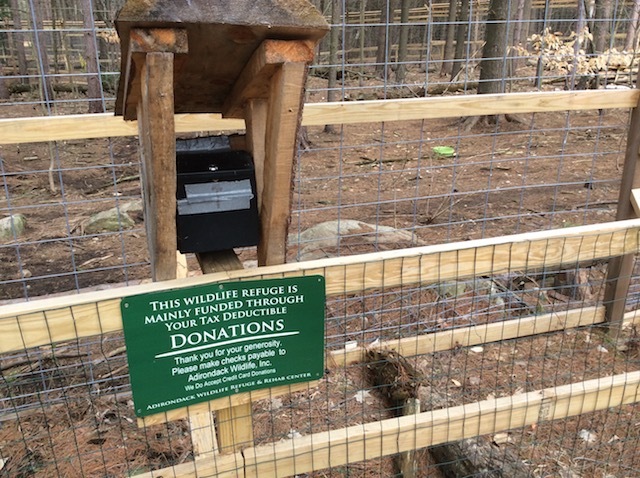 I put my donation in the box provided, and was happy to do so. There's a lot of wonderful work going on here, and most of it is funded by visitors like me. I learned a lot. And each time I come, there will be someone different to see. Stay close with some cozy lodging. Find some fun dining. Explore all of our attractions.